Gigaset is a well-known brand known for setting up standards of professional communication with their IP Desk Phones, IP Dect Phones, Corded Phones, and Analog Cordless Phones. Gigaset Phones are well suited for office environments as well as home environments. When it comes to business professional communications are vital for its success. Gigaset office phones are available for traditional offices with receptionists, busy factory floors or always on the go sales teams. Employees can use any combination of IP Office phones and IP Dect Phones with both 3rd party on-premise systems and cloud-based telephone systems. Gigaset phones offered from receptionist desk all the way to the boardroom with communication tools to let your employees carry on with business. Whether your employees want to use an office desk phone or cordless DECT communication devices, each phone needs to be easy to use with high-quality voice enabling and in-house mobility. Gigaset phones are designed to mix the best of traditional and IP based technologies. Gigaset cordless and all-in-one solutions offer more than just great communication systems. Gigaset pro desktop and DECT cordless phones compatible with IP standards with support for traditional analog (PSTN). 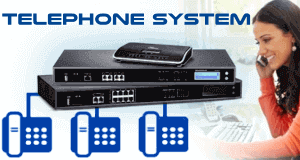 It gives direct access to analog telephone lines without a PBX system as well as the world of IP communication. Cordless communication based on IP DECT ensures digital quality audio across an entire site enabling mobility even where smartphones cellular network coverage is unreliable. IP DECT phones are available from rugged models to sleek designs, which integrate with any third party SIP Supported PBX System. Many Gigaset cordless models are support HD Audio and unified communication features of a desk phone with long usage hours and stand by hours. Gigaset Home cordless phones are widely used in Dubai with Etisalat Home connection. Gigaset Home Cordless Phones are suitable with traditional analog telephone lines as well as IP Communications. Gigaset IP Cordless phones are configured easily with access to corporate and online directories plus email notifications ensure efficient day-to-day usage. Gigaset DECT phones support additional built-in communication features such as 3-way conference calling, call waiting, call hold and transfer functions. These Gigaset Cordless DECT phones in Dubai support Supports advanced HDSPTM audio technology for clearest possible sound quality. The Dect phone network having the capacity to increase the coverage area with DECT repeaters. The Gigaset DECT base and repeaters are Designed to work with the entire Gigaset pro handset range and repeater technology for larger offices or extended outdoor sites. If you are looking for wireless telephony for your productive office the Gigaset is your best selection. As a leading Gigaset distributor in Dubai, we can support you with tech know-how and best price access. Gigaset IP Phones in UAE are well designed with nice looks to match your office environment. It’s only the looks make Gigaset IP Phones different. It is the build quality and features. All the Gigaset IP Phones are HD Audio supported and simple to use. Its powerful features coupled with high-quality audio makes it a perfect choice for professional business communicatioN. Gigaset high-end IP phones such as Maxwell 10S support seamless access to quality business communication tools required for everyday business, such as email, web browsing and video Calling. Gigaset business IP phones are designed to meet the rapidly changing nature of modern digital collaboration and the importance of communication in an organization. Gigaset phones increase the effectiveness and responsiveness of employees and ensure greater productivity. The Modern Wireless office still struggle the need of cable network connectivity. Gigaset IP Phones connected to one DECT single or Multicell system from Gigaset. It brings the ideal Business phone system with extraordinary HD-audio, crystal clear display delivering an intuitive business companion to the front of the wireless office. The Gigaset Desktop phones feature Intuitive controls, speed-dial keys, color display, and one-touch adjustable profiles. Gigaset IP Phones also best suites for the hotel industry. These phones offer guests with persistent access to the internet, radio, games and live information. This combination of entertainment and information promises to not only be popular with your smaller guests, but adults can also find out all about your hotel, your offers, and the local area. Gigaset IP phones for business offered with different connectivity options based on models. Which is Bluetooth, Gigabit Ethernet, USB Sockets, EHS Headsets, and Wireless Network. It also offered with a color screen and mono screen options. These phones coming with Web-based configuration, support for auto-provisioning and a large address book. As a recognized leader in the communications sector, Gigaset has a lot to offer to business around the world. Gigaset Pro line of products delivers enhanced security, reliability, and convenience. Base Stations. Gigaset pro base stations are perfect for a business looking for a solution ready for both on-premise and cloud telephony services. From small businesses to corporations Gigaset has a base station for your needs. Designed to scale as you grow Gigaset base stations are compatible with DECT and digital VoIP technologies. Desktop Phones. Reliability is a key factor for business phones. Gigaset pro desktop phones deliver that reliability and then more. Sleek and functional designs are common to all Gigaset pro desktop phones along with cutting-edge features that only Gigaset can offer you. Cordless Phones. Last but not less, Gigaset pro also has a wide range of cordless phones that let you free from your desk with the confidence of keeping an effective communication. Expect the best in class construction, cordless phones made with its commercial focus in mind. Having multiple phones in the household is a de-facto expectation nowadays. Gigaset has a huge selection of phones to choose from. From convenient duo and trio series to expandable systems allowing you to add as many handsets as necessary. Style for every taste. Not because you build a family phone is has to be boring. Gigaset has been awarded the prestigious Red Dot award not only for creating elegant and functional designs but also because they really have a deep understanding of the market needs. Expect all kind of modern designs, from sober, traditional phones to high-tech handsets with touch displays. Leaders in Eco DECT. When talking about DECT (Digital Enhanced Cordless Technology), we are talking about a technology that was possible thanks to Gigaset (formerly Siemens). That’s why should not be a surprise that Gigaset products are leading the way in new standards like Eco DECT. As its name implies, Eco DECT phones are greatly focused on power saving and environmentally friendly features. Gigaset Eco DECT phones are able to adapt the transmission power depending on the distance from the base station hence saving energy. Prepared for the future. Gigaset has taken the modern home communications to a whole new level. Corporations exclusive access to IP phone technology is a thing of the past. The future of communications is Voice over IP (VoIP). Digital connections bring a lot of features like high-definition sound, the ability to make simultaneous calls, and enhanced security through data encryption only to name a few. Gigaset IP phones are CAT-iq compliant which means they deliver superior power saving and eco modes as well as HD-Voice capability. But benefits don’t stop there. Gigaset IP phones come ready to work with widely available VoIP routers, meaning that you don’t need to worry about troublesome configurations, just plug your phone and start enjoying the future today! Unsurpassed Quality. Gigaset products are proudly made in Germany. As you may expect, Gigaset phones are manufactured using state-of-the-art technology, high-quality standards and best of kind materials. Rest assured that every Gigaset product is made to last. A clear proof of Gigaset leadership in communications is its Life Series, a complete line of phones specifically designed to help seniors overcome their everyday challenges. The use of technology to overcome such challenges is everywhere on the Life Series. with a clear focus on the main function of any phone: the ability to easily call your family and friends. Enhanced Audio. It’s not a secret that hearing weakens over time. Gigaset is aware of it, and that’s why they went that extra-mile for designing Life Series Phones. All Life Series phones come with flexible volume control, extra-loud speakers, special acoustic profiles ranging from high to low-frequency sounds, handsfree functionality. The European standard ITU-T P.370 even certifies these phones are hearing aid compatible, which means you can use your hearing aid device without any sound quality degradation. Enhanced Visuals. High attention to detail was present during the Gigaset Life Series visual design. To help to make senior’s life easier the Life Series count with large fonts, high contrast displays, a magnification tool, enhanced theme colors, extra large illuminated buttons with obvious pressure points, optical aids when the phone is ringing and many other features to provide the best readability possible. Safety features. Speed dial was taken a step further in Gigaset Life Series with the SOS-Emergency call feature. In case of emergency, all you need is one touch to activate the predefined call to saved numbers. Room monitoring is also a security feature that let you program the phone to automatically make a call when a certain noise threshold is exceeded. Give you and your family a better sleep knowing that Gigaset Life Series can help you when most needed. Variety of Options. One of the many things that make Gigaset a great brand is its compromise to deliver the best experience for users, no matter their age or condition. The Life Series has an enhanced phone for every requirement, basic phones, Eco DECT compliant phones, integrated answering machine phones, cordless or corded phones with an analog or digital connection, IP phones, you name it. Unlike other brands, Gigaset put the decision on your hands of what kind of phone meet your needs. Nowadays, the telecommunications sector is undoubtedly the most competitive market of all. The fight to prevail as a relevant brand in the eyes of the public is endless. In such a fierce ecosystem being recognized as one of the world’s largest manufacturers of cordless phones plus the leader regarding innovation is a great achievement. And that’s exactly what Gigaset accomplished in the past few years. Gigaset continues to compromise with communications technology made possible the invention of widely used standards like DECT and most recently Eco DECT and CAT-iq. Make no mistake, if you are looking for cutting edge phones with superb quality and elegant designs Gigaset is hands down your best choice. Few brands can offer as many options as Gigaset does. The range of telephony solutions covers from basic budget-oriented phones to luxury full-featured premium phones. Need a phone for your family? For the senior? Perhaps for your business? Gigaset have you covered.